We still have that craftsmanship mental- strategy is an investment in technology “We struggled with outsourcing and about 2/3 of its own power and driving ity. That spirit penetrates the yard, and I capacity Roberts said. “We buy the tools vendors dropping the ball on us, so we the company toward a “Zero Emission must admit that’s both good and bad. It’s we need to do the job and grow the busi- decided to control our own destiny and Facility.” (See related story next page). 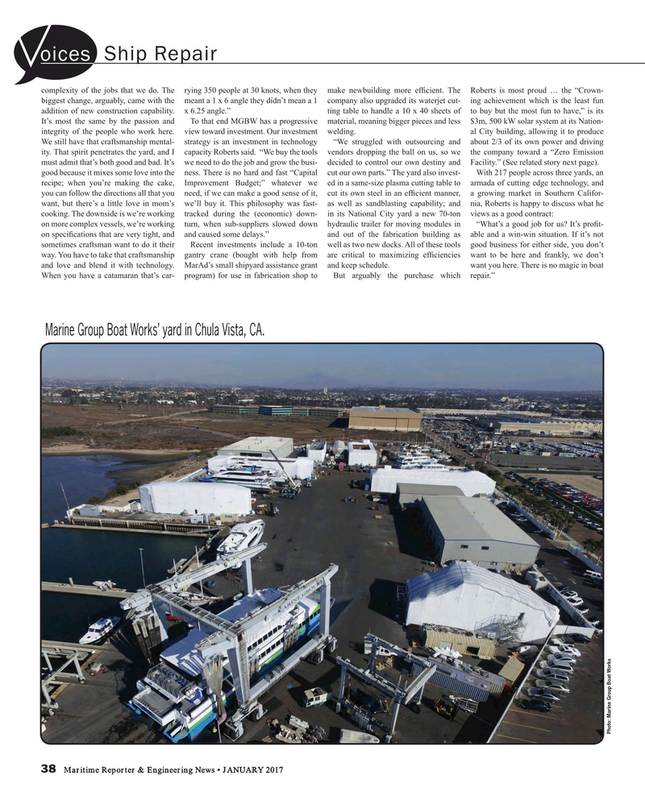 Marine Group Boat Works’ yard in Chula Vista, CA.